There are many children in China waiting for a forever family, and recent changes in China have resulted in a more streamlined process. Barker’s experienced and knowledgeable staff will guide you through every step of the process. And our services don’t stop at placement. Working with Barker means you will have lifelong services and ongoing opportunities to be a special part of the Barker community of adoptive families. Currently adoption from China requires an openness to parent a child with needs that range from correctable to lifelong. We are actively seeking families with a significant level of openness and willingness to care for and love a child unconditionally. At present, families open to only minor correctable conditions will experience a longer wait. If you have questions about the children or the China process, please contact us. We are eager to talk to you! 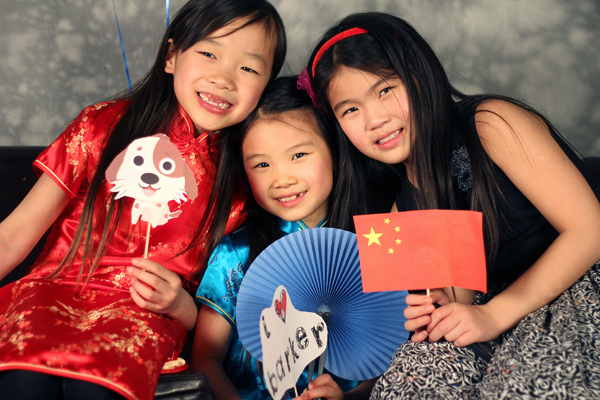 Learn more information about the Waiting Children from China program. MARRIAGE: Heterosexual married couples or single women accepted. Couples must be married for at least two years. If either parent has been previously divorced twice, current marriage must be at least five years (premarital cohabitation considered). AGE: All adopting parents must be at least 30 years old and the difference between the age of the child and parents cannot exceed 50 years. HEALTH: Parents must be in good health physically, mentally, and emotionally with a BMI below 40. Medical/mental health situations reviewed on a case-by-case basis. EXISTING CHILDREN: Family may not have more than five children in the home who are younger than age 18 (two for single parents), and the youngest child needs to be age 3 or older. INCOME: Minimum annual household income:$30,000 plus an additional $10,000 per child in the home; minimum household net worth of $80,000 ($100,000 for single parents). HISTORY: All adopting parents must show good moral character with no criminal history. History of minor offenses is reviewed on a case-by-case basis. AGE AT REFERRAL & PLACEMENT: Children's ages range from 0 to 6. Families should be open to at least age 3. CARE IN COUNTRY: Children reside in orphanages or foster homes. BACKGROUND INFORMATION: Referrals presented include information (general and medical) on child since being in care, estimated birth date, photos (sometimes videos), and a developmental-milestone checklist. GENDER: Families can request a specific gender but need to be aware of potential delays when requesting a girl. COMMON NEEDS: Some institutional care, potential neglect or abuse history. MEDICAL NEEDS: Cleft lip/cleft palate, orthopedic issues, heart conditions, skin conditions, hearing issues, missing and/or additional fingers/toes, missing limbs, developmental delays, etc. Attend Barker’s Adoption Information Meeting. Complete the required two-day parent education pre-service and supplemental online training. Participate in the home study assessment. Complete and submit an adoption dossier for China. Receive a referral of a child from China; the wait time to receive a referral depends on the adoptive-parents’ openness. Have the paperwork of the child reviewed by an international adoption physician (strongly encouraged). Travel to China approximately 12-16 weeks after accepting the referral. Stay in China an average of 2 weeks to finalize the adoption process. Barker’s English-speaking guides will assist and support you while you travel. At least one parent is required to travel; however, it is strongly encouraged that both parents travel. Return home to the United States with your child. Your child automatically becomes a U.S. citizen on entering the United States. Your social worker will guide and support you through this important time. Your social worker will visit with you as frequently as required by your state. Families who use Barker for their home study services will receive a visit within the first month, during the third month, and again six months after you return from China. China requires additional post-placement reports completed at one year, two years, three years, four years, and five years after placement. The last three reports can be written by the adoptive families with Barker’s approval and do not require a visit with the social worker.